Wearing a fine watch is a sign that you have arrived. It is also a part of the professional person’s uniform. A business suit, a fine briefcase and a classic watch tell the world that you are among the leaders in your field. Depending on your proclivities, you will select a watch brand that speaks to your values. There are many fine watches on the market and Omega watches carry a certain cache not available among their competitors. In particular, there are two aspects of Omega watches that appeal to buyers. The first is their heritage. Since 1848, Omega has provided the world with precision timepieces. Started by Louis Brandt in Switzerland, the company was transformed by his sons. In 1894, they created the Omega watch for which they would name the company. It was characterized by a certain kind of caliber or internal movement and helped make the company famous. In 1917, Britain’s fighter pilots chose Omega as did the US Army in World War I. Omega has been the official timekeeper for 24 Olympic games, including the most recent in London. 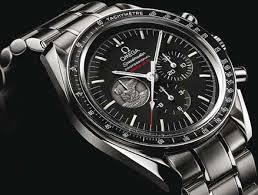 The second aspect of great interest to buyers is the ability of Omega watches to maintain precision time. Starting in 1947, the company released a watch with a particular type of movement that broke the record for precision. In 1999, it came out with the coaxial escapement, which reduced the need for lubrication, providing a longer life and more accurate time. In 2013, the company introduced a watch with the best resistance to strong magnetic fields. If you choose to purchase a luxury timepiece that carries with it a strong heritage as well as a history of innovation, Omega should be your watch. It also provides precision that cannot be beat. You can find these timepieces online. View our exquisite line of Omega watches.